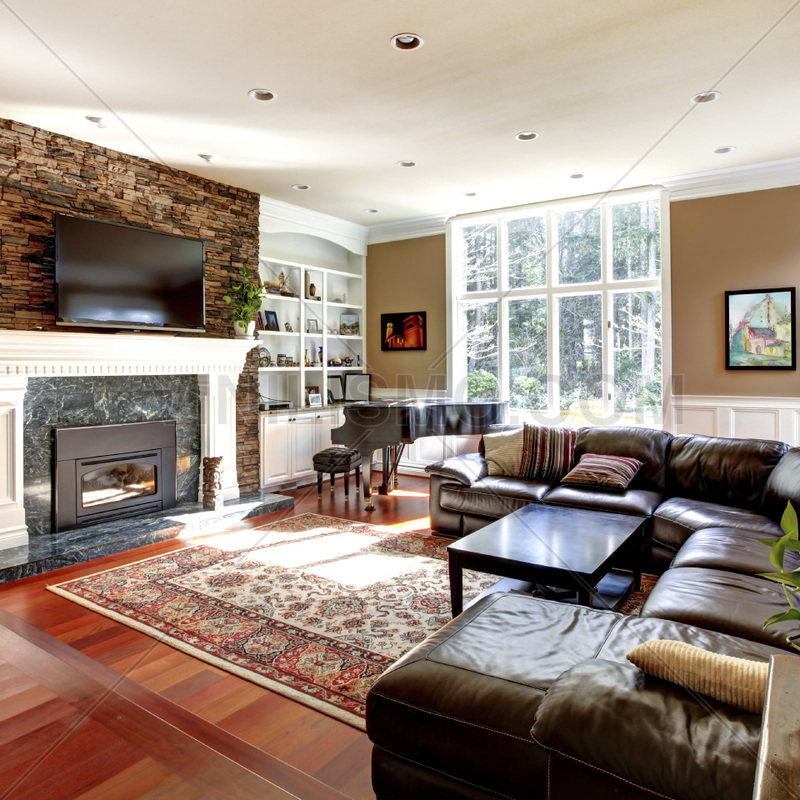 Currently many people enjoy devote part of their time and resources to decorate the rooms of your home. The number grows daily and more and more adept at decorating and design. Within this group there are those who are at the forefront of design, and renew and redecorate their environments regularly. But it may also be the case of a person who does not have the necessary time or the financial resources to renovate your home. For them, choosing a style that does not go out of fashion is essential. If you are looking for a classic style that does not age and can renew with minor changes, the colonial style is what you are looking for. Whether you're a fan of the decor, or you're looking for something simple it and forget for a while the topic, today we present the colonial style, with some tips for you to take to your home, in a room or at all. The colonial style is classic and simple, and will adapt to your home or apartment in the city or countryside. To get the classic colonial style, there are some basic guidelines to follow. As for the materials, the timber must be protagonist. A good piece of wood, either a table, a dresser, a library, will be the cornerstone of your room with colonial style. If you have or get wood furniture including metal accents, the better. You can also include wicker or rattan furniture, to a lesser extent. 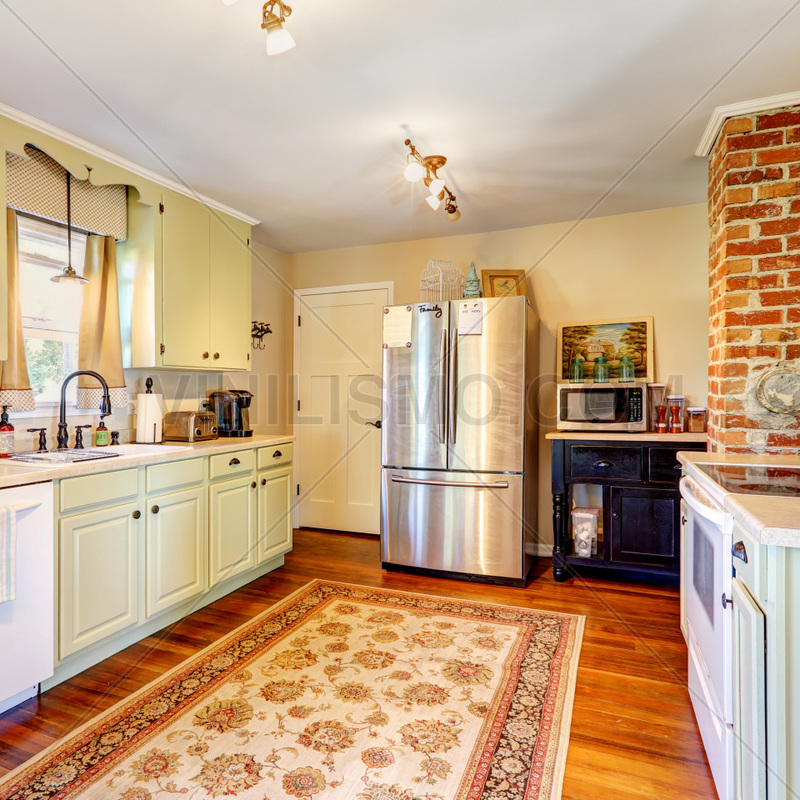 Among the colors, you should give importance to softer colors like white and beige. You can also add greens long as they are not very bright, some shades of purple and mauve, among others. Among the most suitable textiles for your bedroom or colonial atmosphere, you can choose from those naturally occurring animal and whether it is wool or vegetable such as linen. Vintage accessories crown the style: an old wooden rocking chair or old books in the library will give your room the finishing touch. As for the walls, you can paint them with a calm color like beige and then include old photographs in sepia. You can choose a photo from large to compete with the star role in your cabinet, or include several smaller photographs. An original idea is to find historical photographs to make the atmosphere even more interesting. 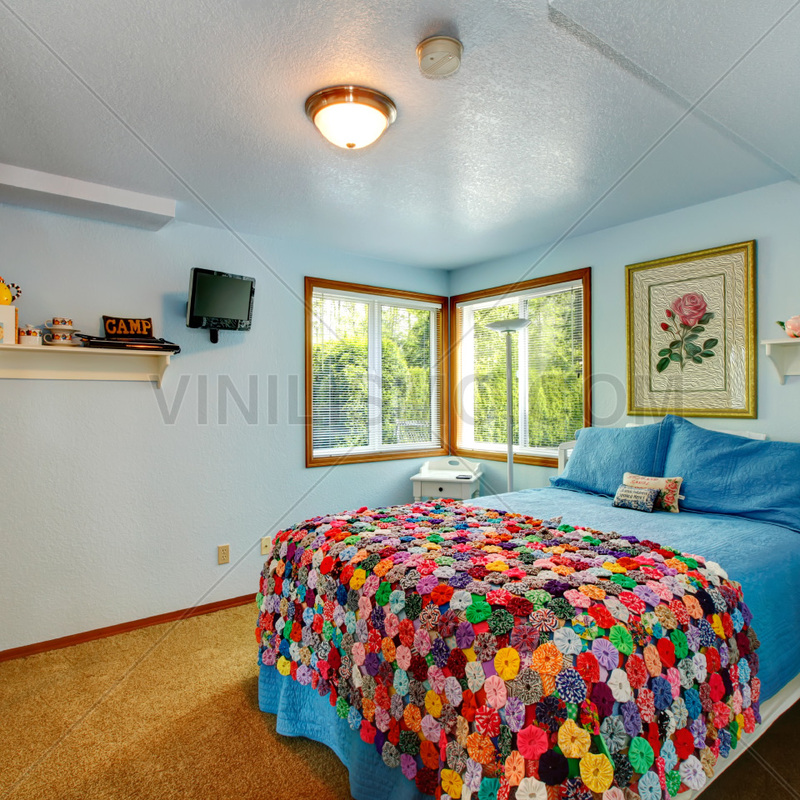 One way to achieve this effect is by decorating with vinyl. 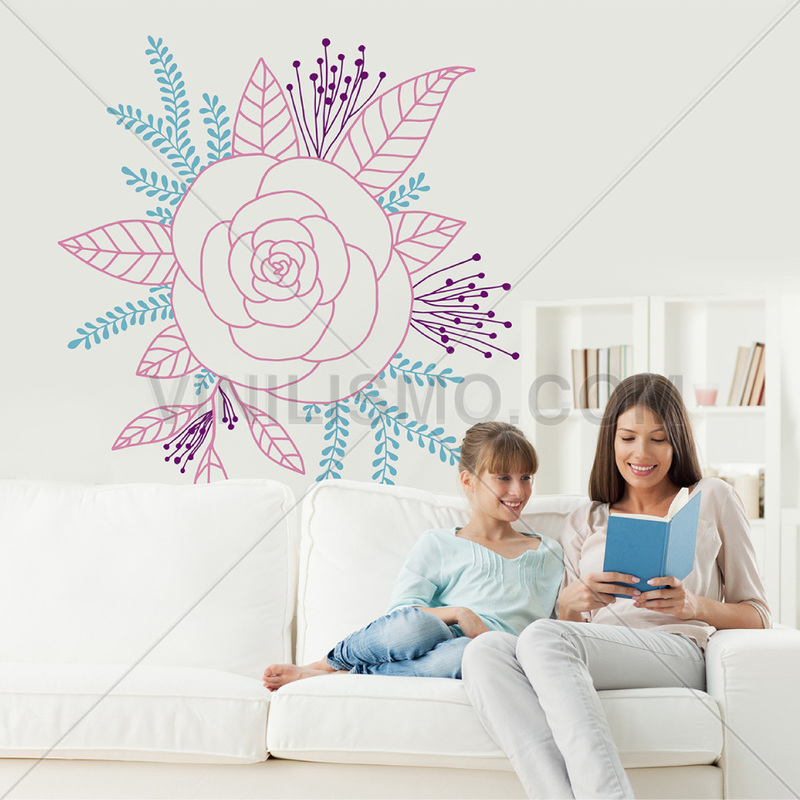 The wall decals have many advantages when it comes to decorating a room. 6.- It is easy to renew: just off the vinyl and paint or put a new vinyl in place. These reasons make the wall decals an excellent alternative to achieve the colonial style you want for your home. 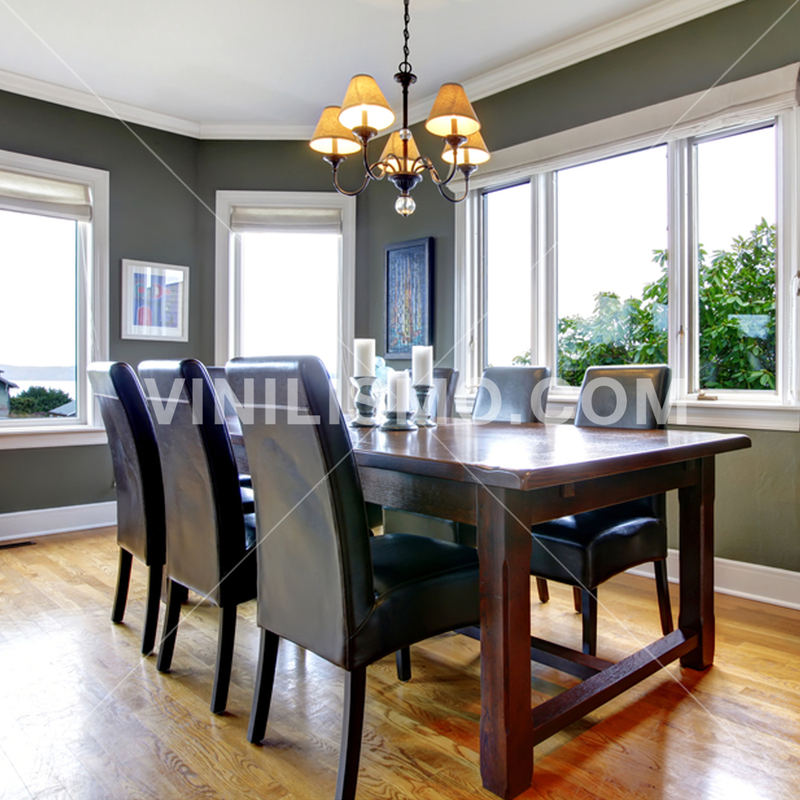 This entry was posted in Interior Decoration, Wall Decals on August 21, 2015 by Vinilismo. When we think of Arabia, the first thing that is represented are the great cultural differences presented regarding our Western society: religion, cuisine, customs and traditions, and also, why not, ideas about aesthetics and decoration. Approaching different cultures is always fascinating; learn about the specifics of a away society that bears little resemblance to ours, will enrich us and help to keep our open mind. In popular culture, Arabia is represented in flashy scenes, grand palaces filled with gold and riches, either expensive fabrics for making garments or to decorate environments. Also the mystery, warmth and sensuality immediately thinks of the suggestive dances. 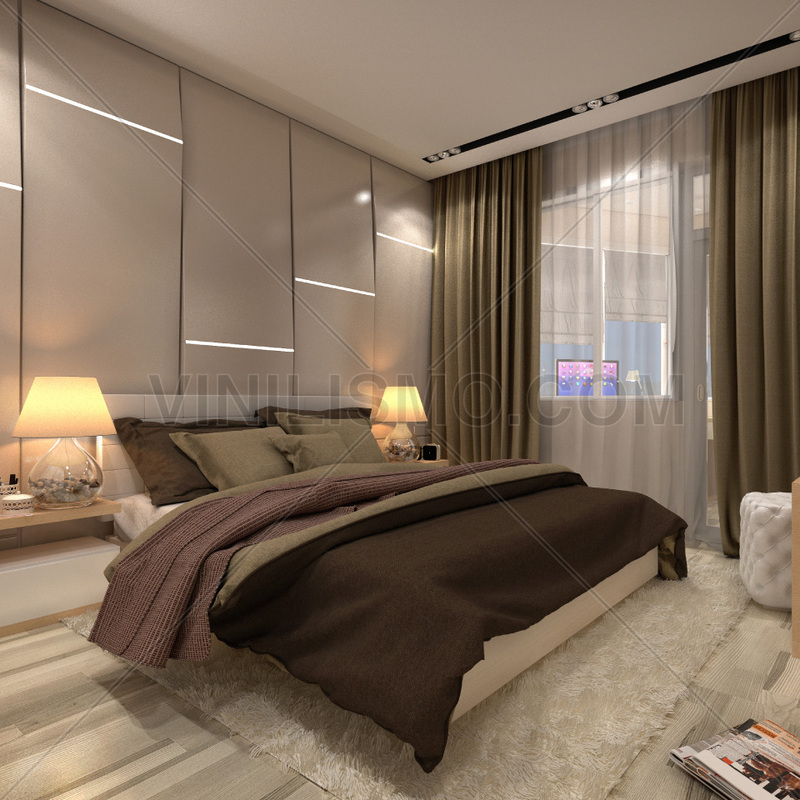 These latter elements can help in decorating your bedroom: mystery, warmth and sensuality. Here a few tips to bring Arabia to your bedroom and "travel" over there every night with the senses. 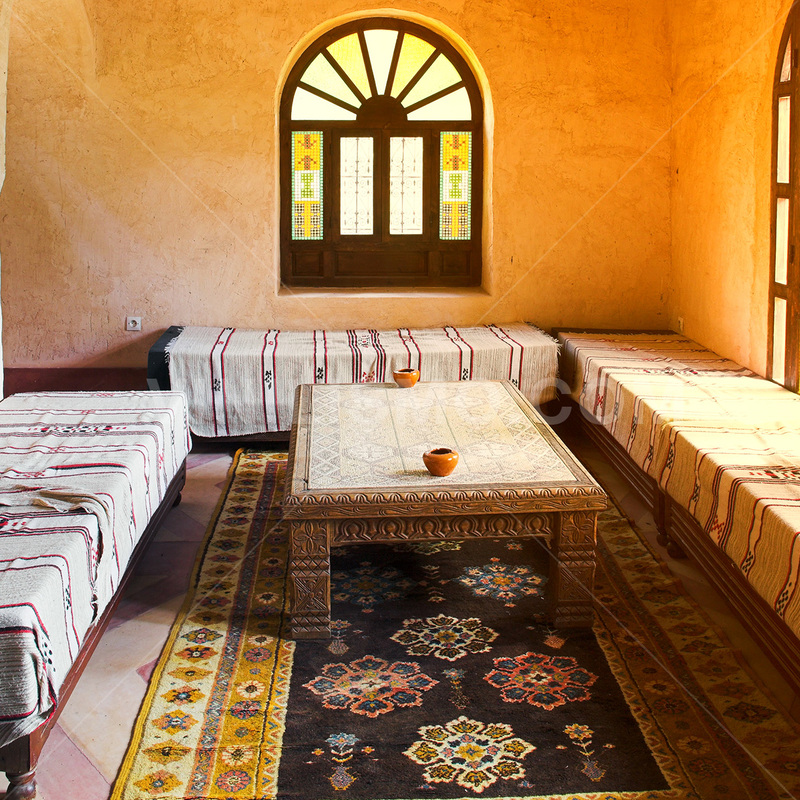 Arabic style is mainly characterized by abundance: abundance of colors, an abundance of material, plenty of accessories and furniture. While dark colors like purple, brown, orange, ocher, red, embroidered are most found, you can encourage to the mix. A fuchsia and yellow cushion will look on a dark red bedspread. The Arab fantasy can not be complete without the veils: for it incorporates a canopy in your bed, and hang him sheer fabrics of different colors. The most suitable materials to respect this style are wood, clay for accesories and iron. Something that is essential in this style, is the lighting: takes time to plan the location and intensity of the lamps. A faint, warm light give the final touch to your Arabian décor. 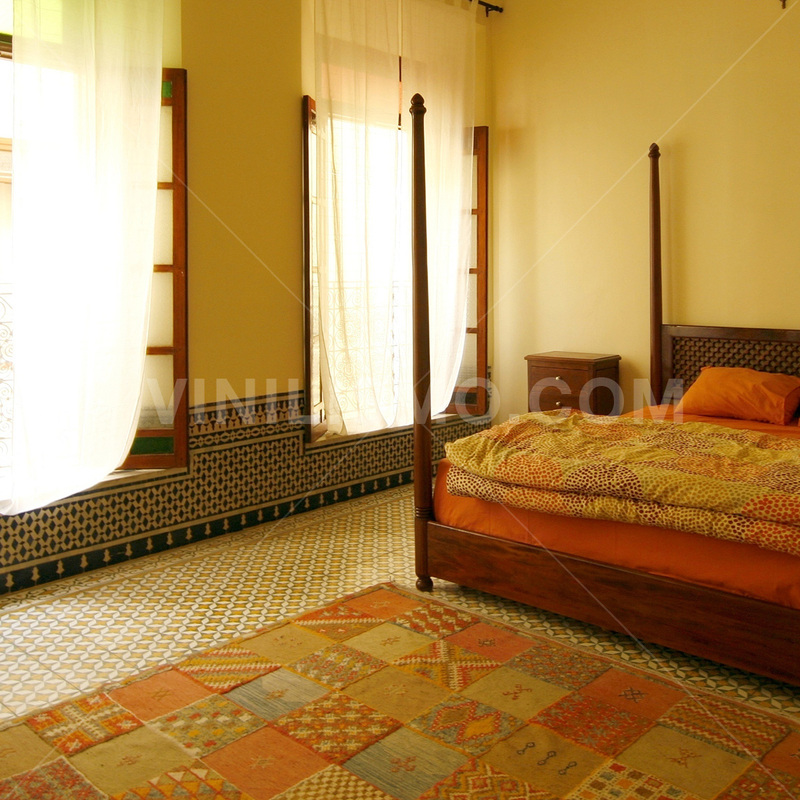 As to patterns, geometric shapes can occur in textiles, on the walls and even on the same support of the bed. 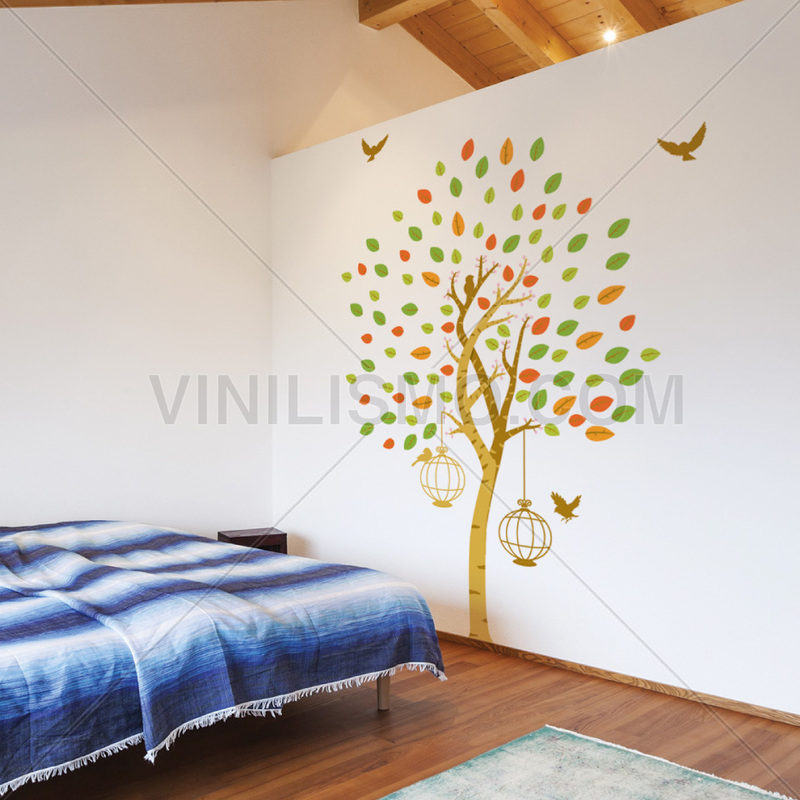 But you need not take the job carefully and neatly paint the back of your bed or a wall in your room, this effect can be achieved more easily, clean and economical with the help of wall decals. The wall decals will be helpful. 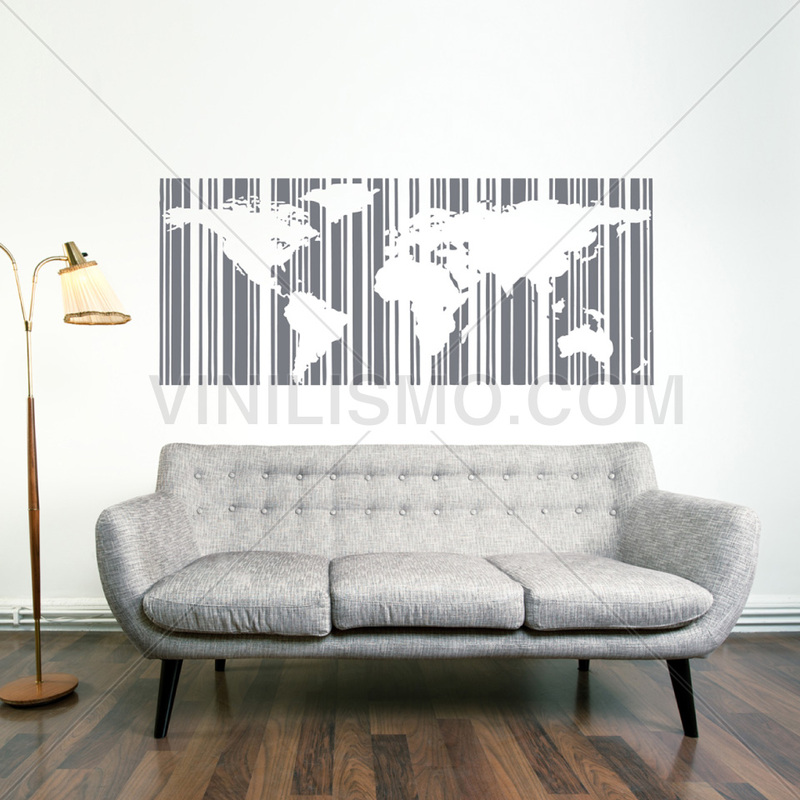 In Vinilismo.com you can apply wall decals of a custom layout. If you do not know what reason choose, store decals offer a catalog in which you can choose the design that best suits your style and needs of your project. Vinyl not only be placed on the walls of your room, but you can also incorporate them on glass, wood, appliances, mirror frames or edge on the same mirror, thousands of possibilities that your creative mind can find. 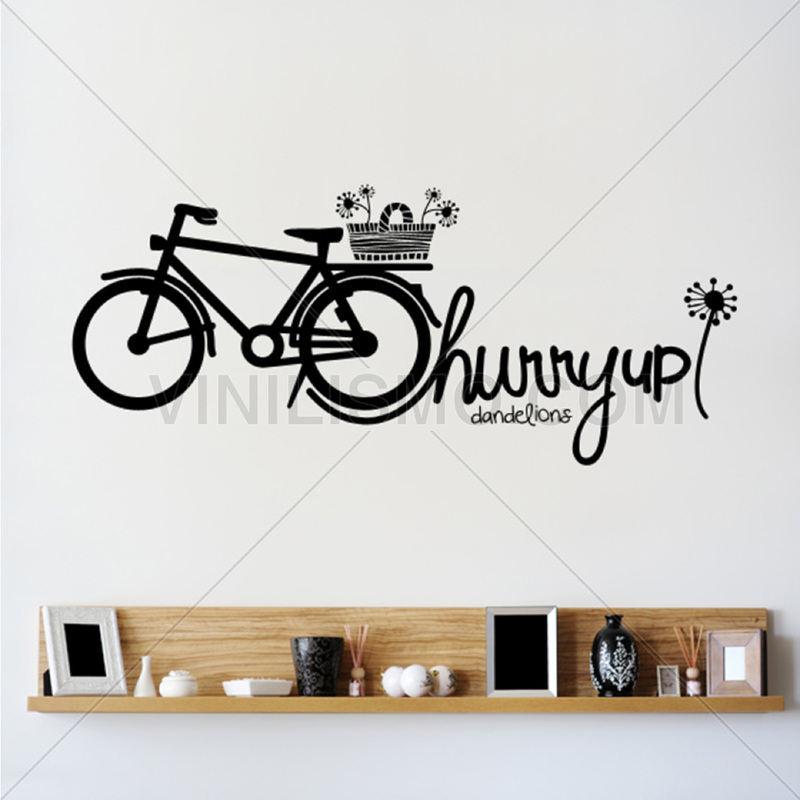 This entry was posted in Interior Decoration, Wall Decals on August 20, 2015 by Vinilismo. When a man goes to live alone or with a partner, it is customary to "forget" to deal with the decoration of the rooms of your home. This situation is the result of many different factors. Traditionally, the home has been the battleground of women, while the man best out of it unfolds: at work or in nature, assuming at home only lawn care tasks. That finding ourselves in the XXI century, it is time to leave behind the prejudices and dare to decorate homes. Why resign yourself to living in a place that does not say anything about us? Those brave who dare to venture out will find that living day to day in environments that reflect their lifestyle and personality, attaches a great and particularly satisfaction. 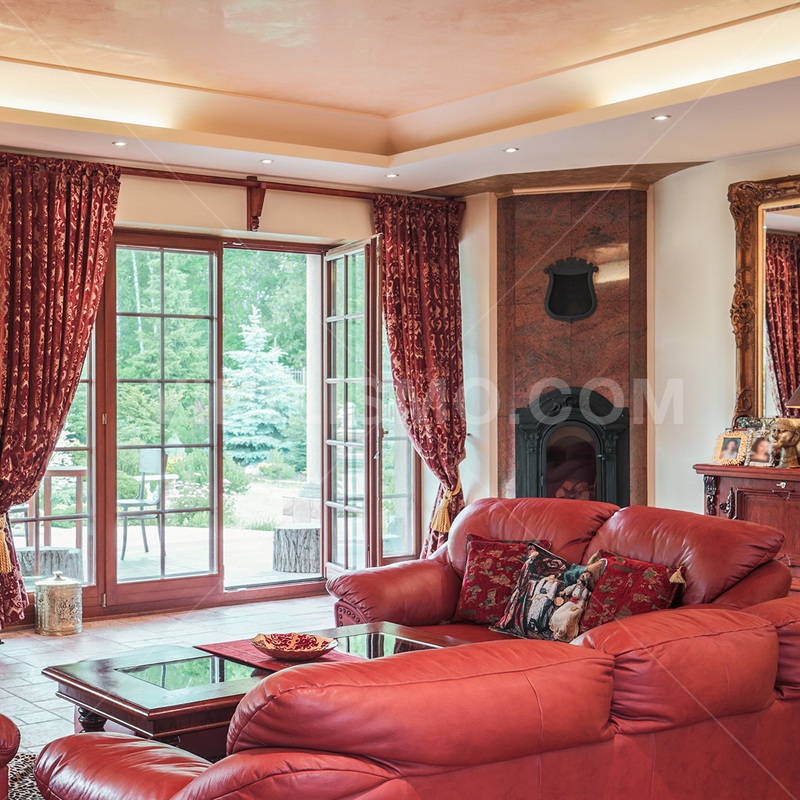 The main thing you should consider regarding the decoration of houses, is faithfully reflecting the personality and taste of the person or persons inhabit that environment. The decor may be subject: sports, music, on hobbies and so on. For those who enjoy the time outdoors they can bring nature into the environment by adding plants. If you are forgetful, you can opt for various cacti that require little irrigation. A library full of books will not only give a special touch to your environment but you provide a source of entertainment and knowledge. 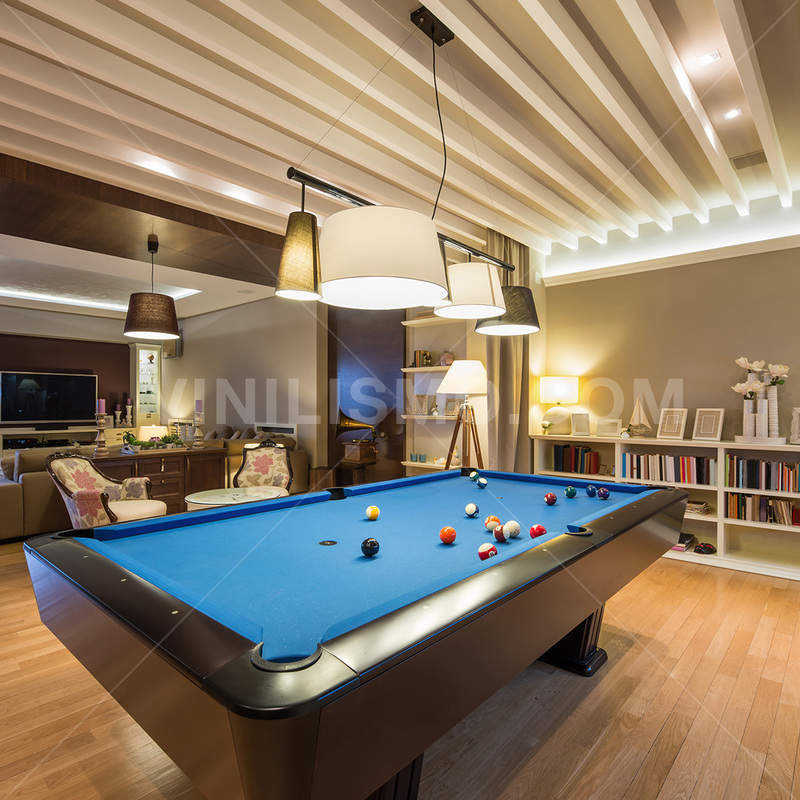 Those who enjoy playing pool billiards may choose to purchase a table. Some tables are elegant, made of wood and cloth of different colors. This may be combined with the color of the walls or furniture. 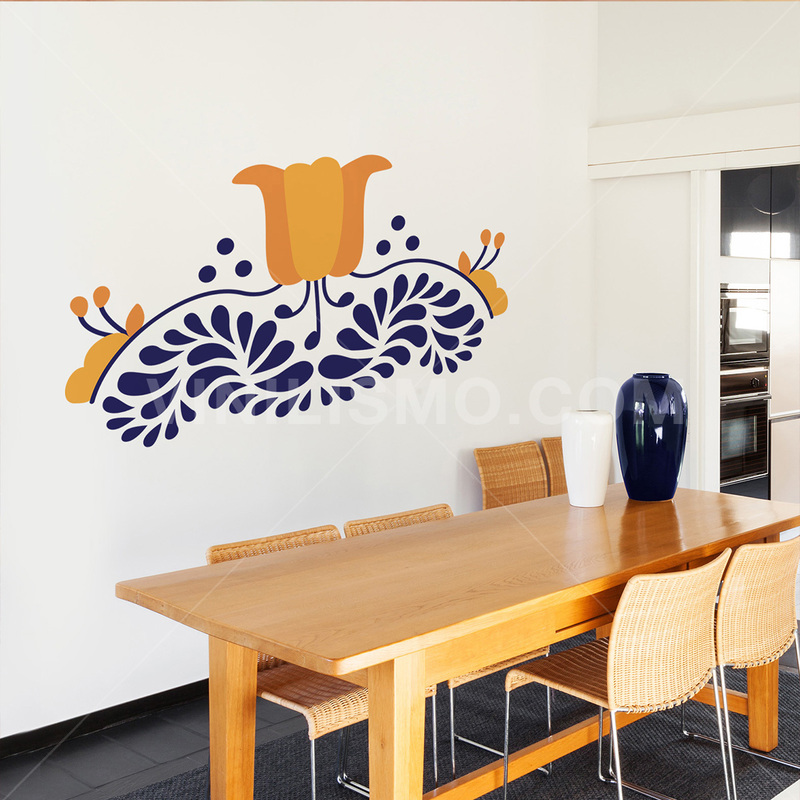 The painting will change the face of the environments, but there are more practical and easy options like wall decals. 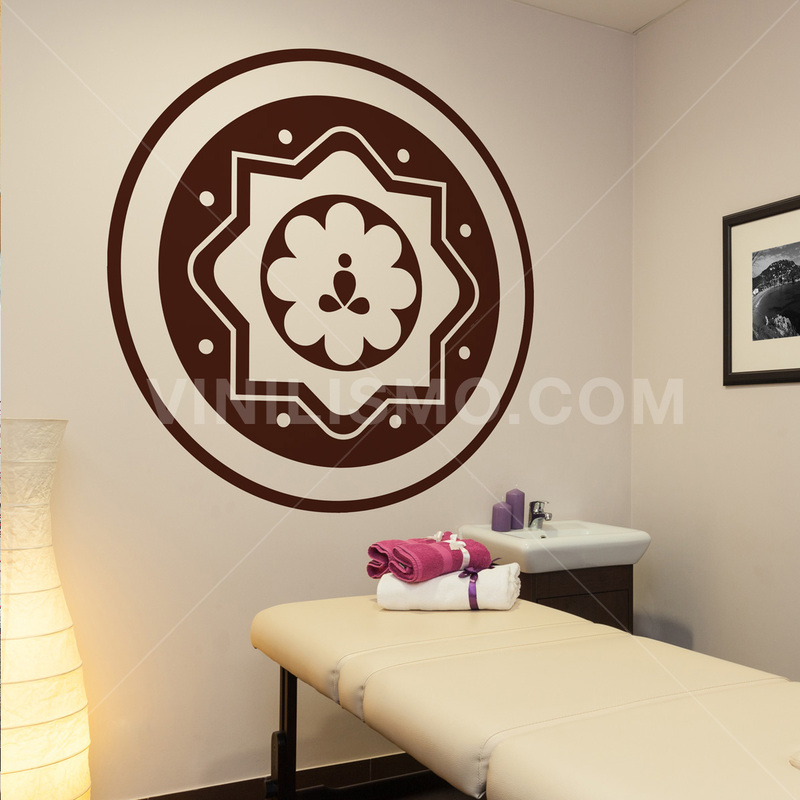 Among the more friendly options to those who do not have any experience in decoration, are the wall decals. These elements are stickers that can be stuck on any smooth or slightly rough surface. This includes walls, ceilings, doors, furniture, glass, tiles and even appliances. The vinyl will be able to give life to your fridge, for example. We stop here a moment to explore the possibilities that the wall decals can bring your decorative adventure. You can decorate your room with scenes from your football club, for example. Another possibility is to apply a replica of a painting that you enjoy and put it in the living room, or the top of a disc that have marked your life. It also works with the cover of a book. These options can also be applied to your room. 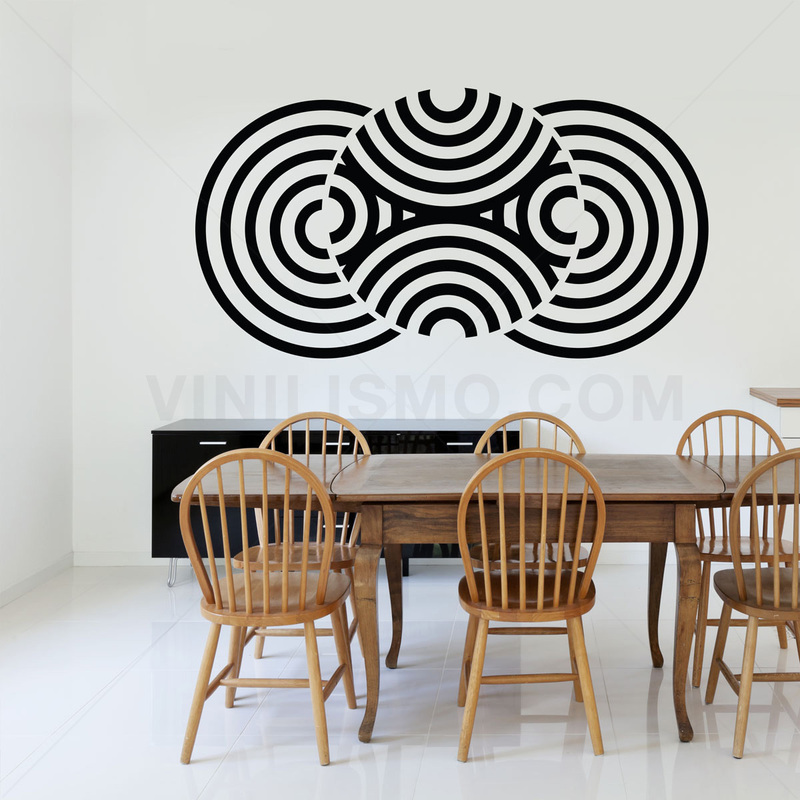 Those who love music can choose to decorate with "vinyl vinyl", ie circles that mimic vinyl records. 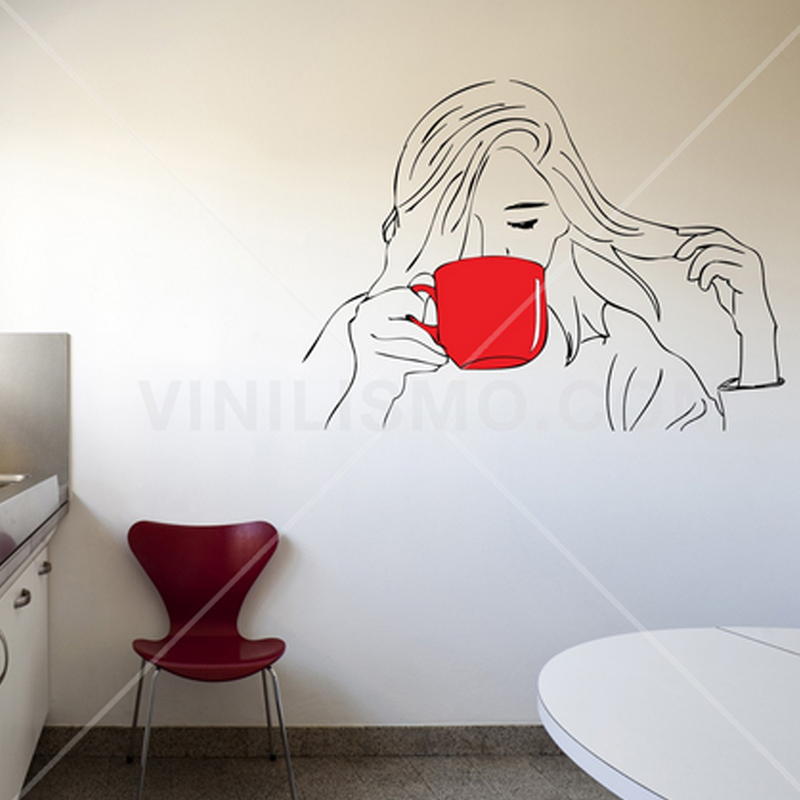 Thus, the wall decals are the best option for singles without decorating experience: easy to install, highly customizable and very decorative. 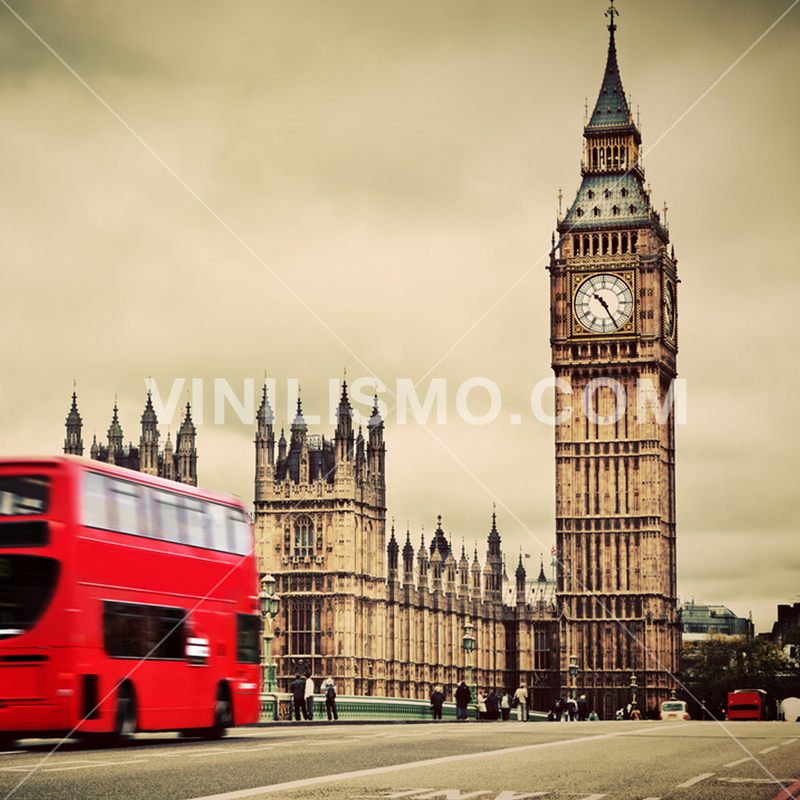 This entry was posted in Interior Decoration, Wall Decals on August 19, 2015 by Vinilismo. Those who love decoration, originality generally love with the same intensity. Find a new and original idea is not easy, so the challenge is to find the "twist" that turns ideas already used in unique and personal. A current trend in decor is the decoration with maps. The choice of maps to be included in a room may reflect different motivations can be a traveler, a lover of geography or history, or simply someone who found the idea attractive. One thing is clear: it's not about buying maps we used in college and stick them to the wall. Decorating with maps is a more interesting process and can give excellent results. But how to add maps to the decor of your rooms? 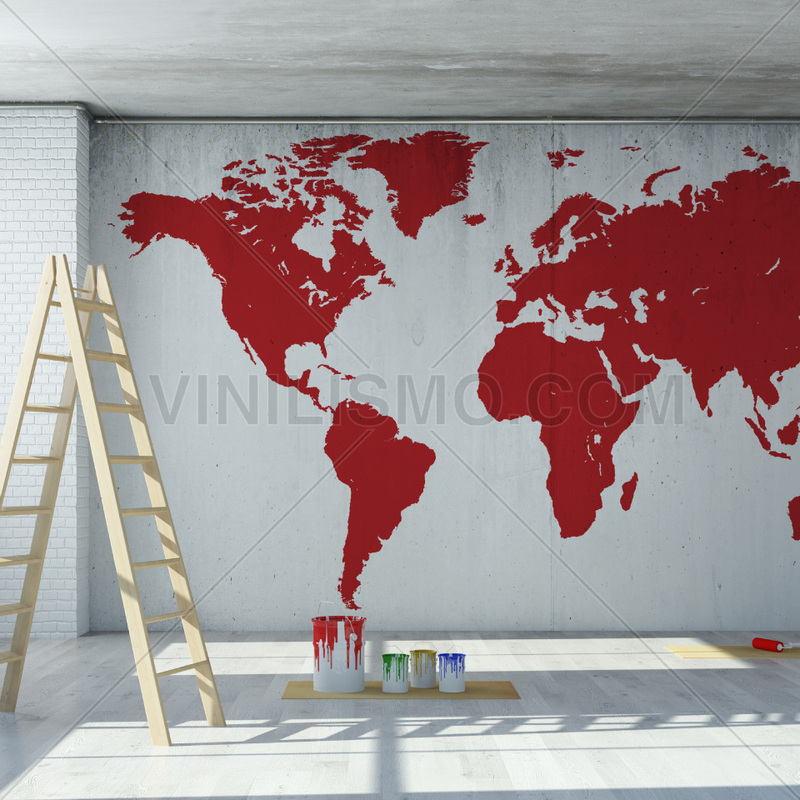 One possibility is to paint a map on a wall. The difficulties of this idea are several: the cost of a painter, that painter has talent, and that the result is accurate and not look like a drawing by a child. Another option is to look for fabrics printed with maps, cushions, carpets, paintings, etc. but all these options sound trite to the most creative and daring. Then the best choice is clear: decals. The vinyls have advantages indisputable: low cost, easy installation and removal, fidelity in the reproduction of motifs and colors, and the ability to change to renew the environment without having to change everything. They can also be used as kids wall decals in the children room. The option of a globe with reliable information is ideal for a room schoolchildren. These kids wall decals help children and adolescents in learning geography and will encourage their curiosity. It may be a world map, a map of the country or province. One possibility is great and gives a special touch to the rooms is the use of vinyl with old maps. 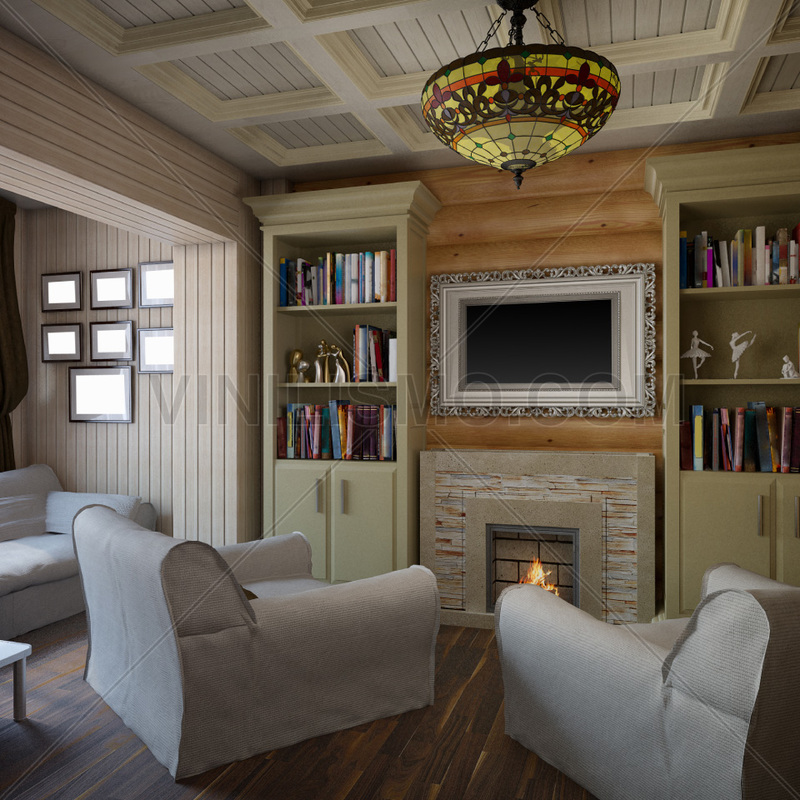 A living room with an ancient map, a beautiful library and special lighting will generate a unique atmosphere. 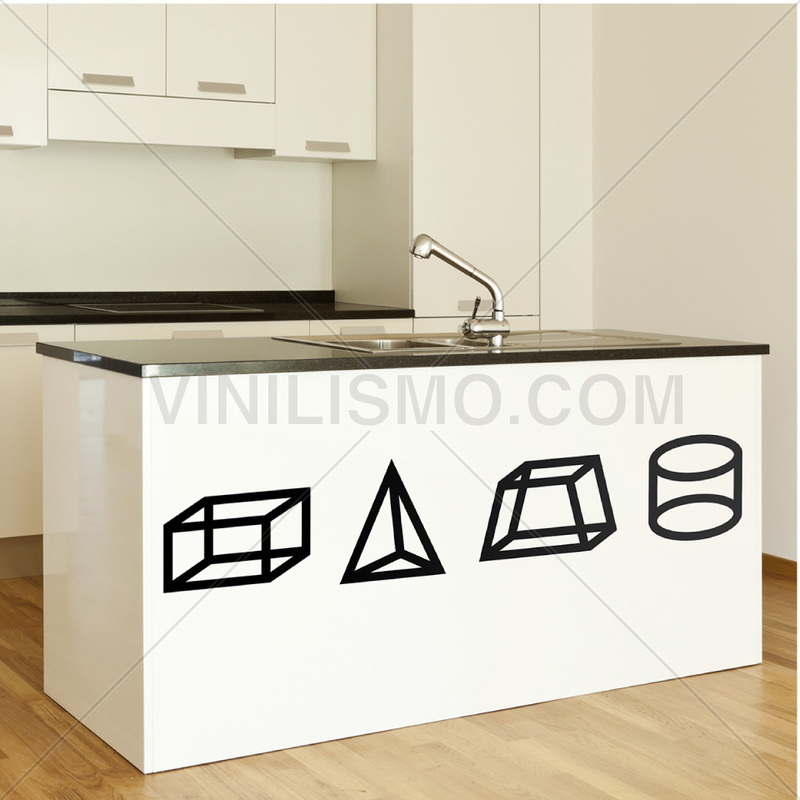 Vinyls not limited to walls, can also be placed in furniture, for example on a table, or in a door. History lovers can choose a map of a specific period that is of interest. One advantage of wall decals is that they are highly customizable: You can order them in any color you want, highlight some places over others, and may even be an original and loving gift for lovers of fiction: it is possible to commission a map of a fantasy place of his favorite books, such as Middle Earth in The Lord of the Rings. It's time to work your creativity and find your own way to incorporate maps to your decor. 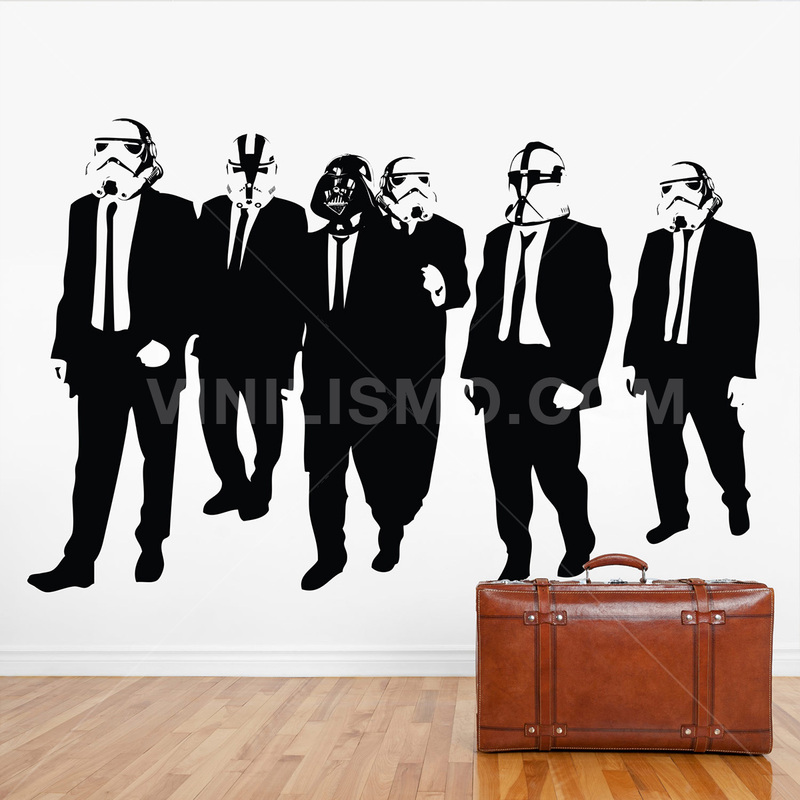 This entry was posted in Interior Decoration, Wall Decals on August 6, 2015 by Vinilismo.